Through the training in work in kitchen and hospitality, youngsters have the opportunity to have education and work in their territories, so that later they can undertake their life projects and be an integral part in the construction of peace in their communities and in the country. The action will select 500 young people, who will complete 600 hours of training by competences, which will focus on technical issues, but also include culture of peace, personal development and psychosocial tools. - For disadvantaged youth: job allocation as a way to stimulate their livelihoods, by offering grant technical cooking formation (work oriented skills, knowledge and technical capacity) through the already proved MANQ'A schools program (actually implemented in Bolivia in 14 schools and Colombia in 2 schools). - For the small-scale rural producers: by reaching commercial opportunities of their locally sustainable production (stimulate local economy) through the MANQ'A cooking schools own demand of products and by increasing the demand from an already stablished network with restaurants and other food business in Bogota. As well, the project impact local consumers that will have access to affordable healthy food produced by the MANQ'A cooks during their formation process. 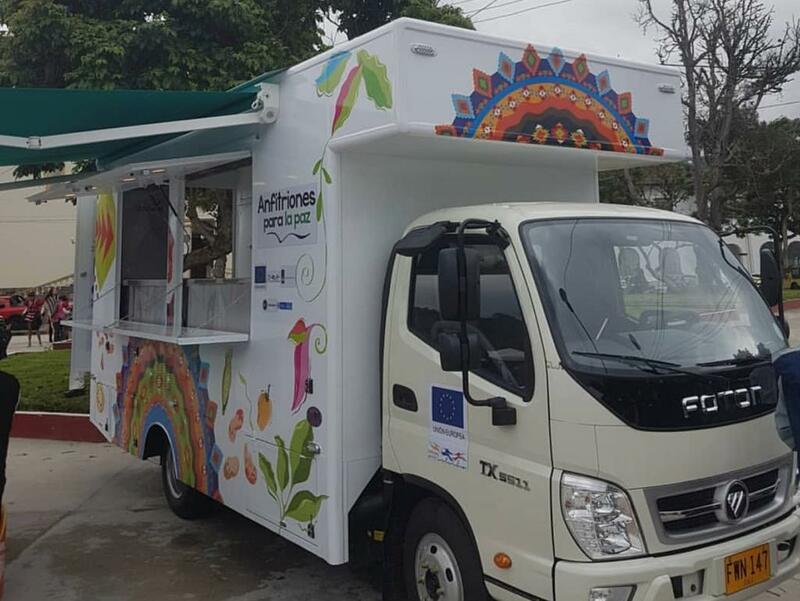 The program seeks innovative ways of providing and promoting healthy food to local consumers for example in local gastronomic markets and fairs. One of the most innovative elements in the project relates to the mechanisms that ICCO has created to ensure the financial sustainability of the intervention. To do so, MANQ'A creates profitable business models (Catering services, restaurants, food products, etc) that generate its own revenues for the project. The Host for Peace program identifies in the gastronomy and hospitality sectors an opportunity to generate options for a licit economy for vulnerable young people. Through the training in work in kitchen and hospitality, the young people will have an educational and job opportunities in their territories, so that after their formation they undertake their life projects and are an integral part in the construction of peace in their communities and in the country. The action will select 500 young people (50% women). The training will take place in groups of 25-30 young people. Then, the fulfillment of 600 to 1,000 hours of training by competences is expected, which will focus on technical issues, but also include culture of peace, personal development and psychosocial tools. This model not only increases the employability of the young people or the possibility that they develop business, but also constitutes a scenario of encounter and reconciliation between young people in the process of reintegration, young victims and their receiving communities. The training has a focus on the recovery of local products, the territorial identity and the gastronomic culture of the region, as well as the change of imaginaries and beliefs about the roles of women and men that perpetuate inequality. Thanks to these approaches, young people will be able to recognize themselves as agents of local development through the valorisation of the heritage of the territory, of local products, stimulate local agricultural production and open up marketing and the market for families and young producers, and especially, women can strengthen their economic, social and political autonomy and recognize themselves as agents of change for themselves and their environments. 500 youngsters (at least 40% women) and rural women from the departments of NariÃ±o and Putumayo. One of the most innovative elements in the project relates to the mechanisms that ICCO has created to ensure the financial sustainability of the intervention. To do so, MANQ'A creates profitable business models (catering services, restaurants, food products, etc) that generate its own revenues for the project. Besides that, 60% of the beneficiaries have jobs or are entrepreneurs after the project.